If you’re travelling to Malta to emigrate or just for a vacation and want to transport your car too, then it is important that you plan the move well ahead of time. You have one of two main options when it comes with car transport to Malta, drive the car yourself or alternatively hire a car transporter to do the work for you. If you’re importing a car to Malta, then driving it yourself is out of the equation. Regardless of how your car will be reaching the island chain, there are a few checks to make before you go ahead with the move. Have the Correct Documents: Ensure that you have its make and model certification as well as up-to-date records of its services (if buying the car from eBay then make sure the seller includes this). If you’re exporting your car permanently then you will require certification - apply to a Vehicle Registration Office to obtain the relevant paperwork. Clean and investigate: Noting the condition of your car is easier if it’s clean, documenting the state of the car before it’s transported to Malta will help you notice any damage that might be caused during its trip. Insurance: If you’re going to make the move to Malta consider moving your policy to a Maltese firm. UK insurance brokers may charge extra for cover abroad. Taxation: You may drive in Malta on your existing tax discs, only if you are staying as a tourist (less than 7 months out of 12, consecutive or not). Exemptions are available to persons bringing cars over under work contracts of if undertaking studies. Registration Value: If keeping your car in Malta it will need to be registered, which requires an estimate of its RV. This is undertaken by the Malta Transport Authority and dictates the taxes you will pay. Thankfully cars don’t suffer from as severe depreciation as in other countries. When hiring car transporters to Malta, make sure that you remove any accessories and valuables from the car as these won’t be covered by the transporter’s insurance. In addition, make sure your vehicle has adequate fluid levels and that tyres are at the correct pressure, also secure any loose fittings on the car and tighten things such as canvas roofs. Whether you want to do it yourself, or get car delivery to Malta quotes from registered transport companies, it pays to know what options are open to you. Self-drive: Because Malta is an archipelago you can’t really drive there (unless you happen to own an amphibious car). The most driving you will do is to a relevant port such as Southampton or Dover, to board a Ro-Ro container ship. Your destination will likely be the Valletta Grand Harbour in the northeast of the island. Make sure to plan your route from the port to your destination before arriving. Driven car delivery: This would involve hiring someone to drive your car onto the container ship (and potentially off of it) though it’s more likely that you would go to pick it up from the port yourself. This can be a valuable service if you buy an auto online and need your car imported to Malta. Trailer: Car transport to Malta via a single trailer is likely to be the most expensive mode of international car delivery because you are paying not only for the import of the car, but the driver and transportation as well. This might be your only option if you want to transport a non-running vehicle though. If you are putting your car in someone else’s hands for its trip to Malta then it’s imperative that you find a reliable service – make sure to check these things before committing to a transporter. Insurance: Make sure that any car importers you get a quote from have vehicle transporter insurance that covers international transport. Experience: You may get a cheaper quote from new drivers attempting to get new business, sometimes however it can be sensible to go for the expert option. Association: Though not a requirement, it can be reassuring to use a service that is a member of a recognised group of car exporters. Above all, ask questions! Whatever issues you might have, the transporters should be able to answer them. If you’re importing your car or don’t fancy the idea of shipping a car to Malta yourself then you will need to approach a few companies handling car delivery to Malta to get quotes. Phoning around a large number of car importers can be time consuming and boring, the cost can vary widely as well. Shiply can help you save money on your car delivery to Malta request, by bringing the car delivery companies to you. When you need your auto shipped to the islands: List the details of your car move including when and where you need it transported. 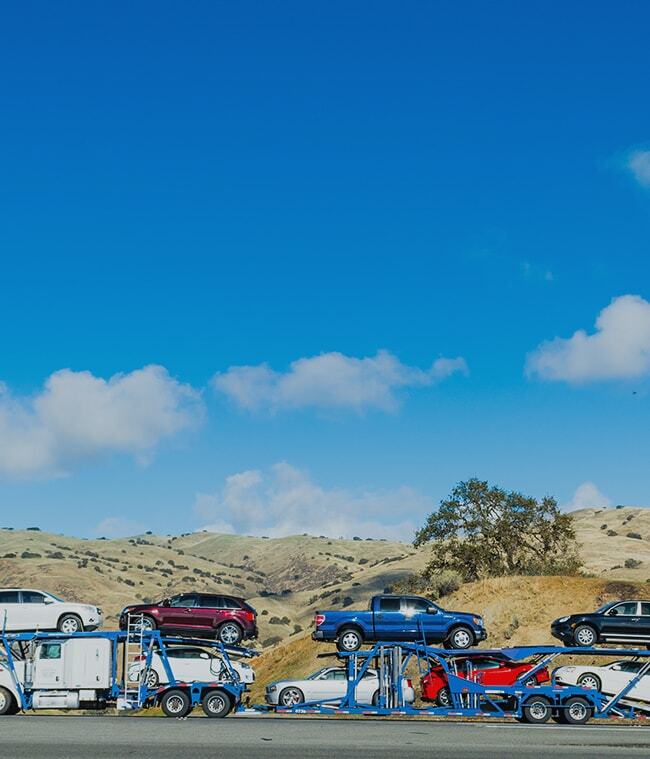 Car transporters will then be able to quote your prices for the shipment of your car. You’ll be able to compare different quoting transporters based on their prices, as well as the feedback they have received from other Shiply users. Then you can pick your preferred car courier and arrange delivery. When you go to the port to receive your car you’ll want to check a few things. Running: Make sure that your vehicle is running as well as when it left, check for any new warning lights or drop in performance. When signing off the completed car delivery ask for the driver to give you a rundown of the car’s condition as well requesting that they stick around for the post-transport checks. If you intend to keep your car in Malta for more than 7 months of the year then you’ll need to do a few things. When the car is safely in Malta and you have all the paperwork sorted out, please do leave feedback for the car transport company if you found them on Shiply. Reviews and feedback helps us provide a comprehensive list of transporters for our users.